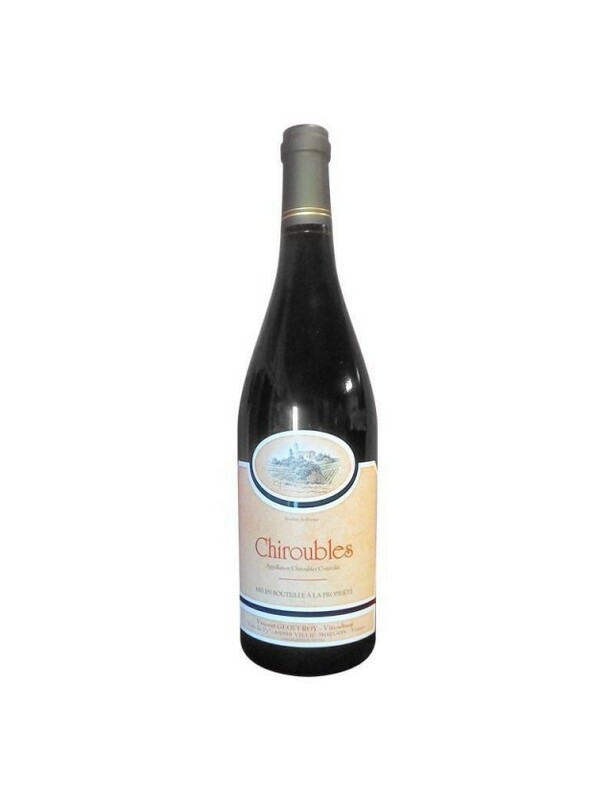 Chiroubles is the cru whose production is the highest in altitude among the 10 Beaujolais crus. It's a wine that should be drunk between 2 and 5 years to retain its floral and light aspect. It is very lively and can be enjoyed at any time of the day. Very simply, it is a great accompaniment for charcuteries, white meat or even BBQs. Taking into account very succinct filtering for this vat, the presence of a natural deposit doesn't alter the quality of the wine at all. Parfait avec un pot-au-feu accompagné de légumes de saison. Et il sublimera un plateau de fromages forts (Saint-Marcelin, Brie aux truffes).